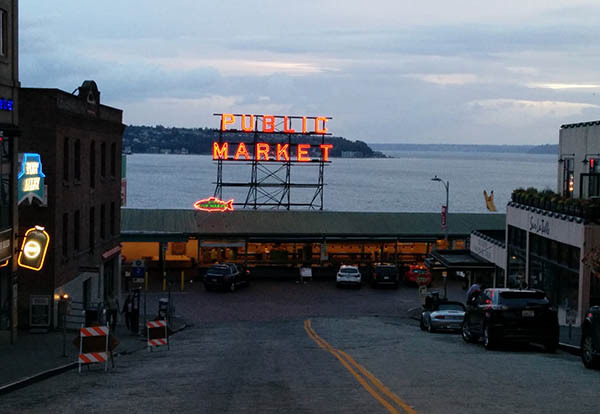 We started the second day early, with a walk through Queen Anne, a neighborhood I was growing to like (a sort of dense suburbs with some good arteries for shopping). First stop: Kerry Park (photo up top). 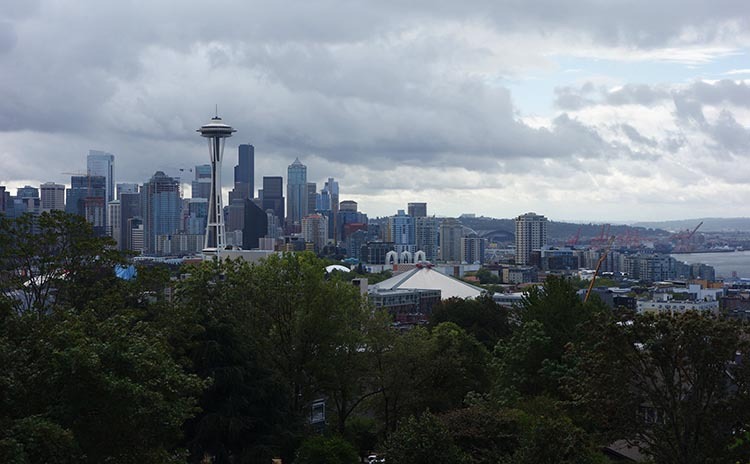 This is the park where all the south-facing photos of Seattle are taken, and it’s a great view. There’s a steep drop below it with an apparent elementary school at the bottom. We were looking to walk along Lake Union, but apparently that’s not a possibility along the west side (highways interfere). Curving down, we went through the tech (Amazon) district. A fruitful stop at Goodwill provided us with Subway Sandwich-branded ’12th man’ hats to blend in with the locals (also: two beer glasses and a corkscrew for 50 cents). For those not in the know, the 12th man is the fans at Seattle sporting events. Target: a Seattle Sounders game. I’d been anticipating this game for a very long time – since we started planning the trip. A Sounders game, in Seattle, against their bitter rivals, the Portland Timbers. That’s probably the best game in Major League Soccer each year, and it coincided with our trip. (It turns out the crowd agreed with this assessment: this was the 6th highest-attended MLS game of all time, with 64 thousand people attending)! Detouring through Uwajimaya Asian market to avoid the rain, we arrived at the stadium early. The atmosphere was great. 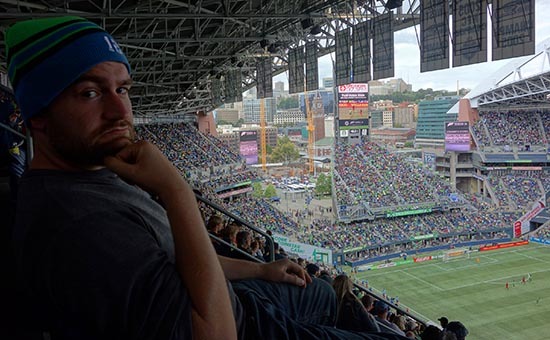 The Sounders play in the same stadium as the Seattle Seahawks, so this was actually the first time I can remember being in an NFL stadium. 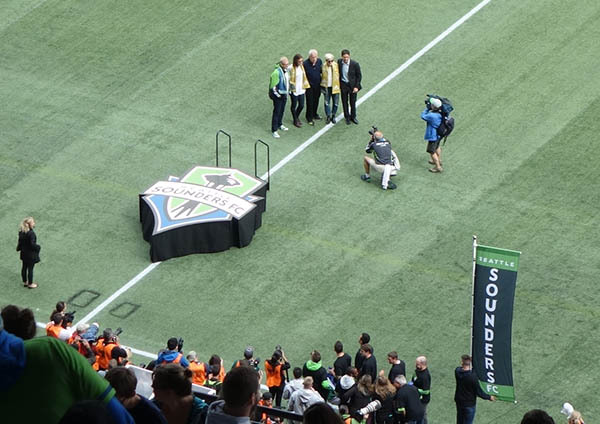 The pre-game was great (Megan Rapinoe, Hope Solo and Drew Carey did a little award routine in front of the crowd). 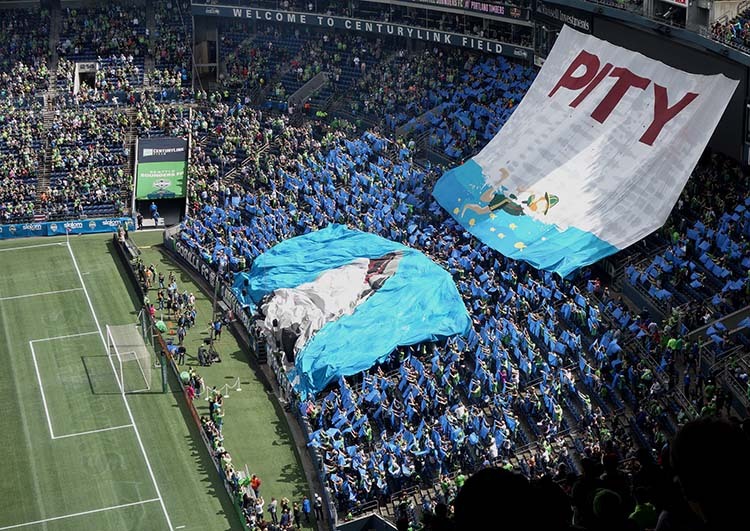 There was also an awesome display in the supporters section, with flags unrolled so that a huge orca swallowed up a logger struggling to swim (Sounders devouring Timbers), and the crowd went nuts. The game was good, but I thought the Timbers played better. The Sounders still managed to pull off a 2-1 win due to a questionable call, so we saw some action and got to see the crowd erupt after a score. Near the stadium there’s a water taxi, which we took over to West Seattle, my first time to this part of the city. 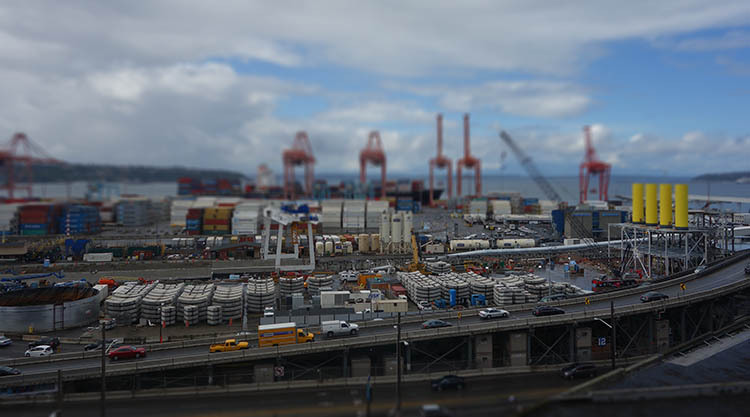 We stayed along the shore here, which had a spectacular view of the city, and had lunch at Marination Ma Kai, a Hawaiian restaurant right on the water, where we indulged in tofu tacos and huge shave ices. I devoured them too quickly to get photos. We strolled a nearby waterfront park and savored the view (and the weather, which was nice this day). A skywriter was trying to write “BLACK LIVES MATTER” above the city (this was right after the Bernie Sanders incident with BLM protestors), but only 4-5 letters are visible at any time so the message was mostly lost. I hope it was cheap to hire the skywriter. 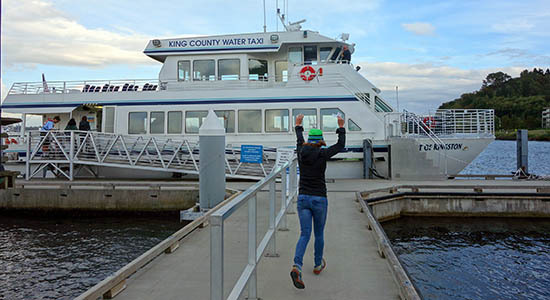 With the sun setting, we ran back to the water taxi and started the trek north to our AirBnB, passing along the tourist sites. It’s quite a walk after a full day around town, and Uber was ~$5 to get back… so that’s what we did. 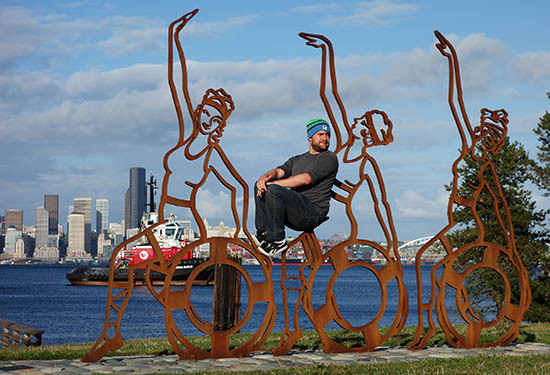 This entry was posted in Cities on November 19, 2015 by rob.